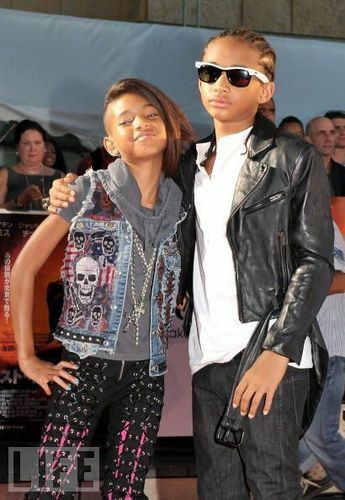 Willow & Jaden :). . Wallpaper and background images in the Willow Smith club tagged: willow smith 2011 pictures. This Willow Smith photo might contain 긴 바지, 선글라스, 어두운 안경, 그늘, 겉옷, overclothes, and 겉 옷.